I am pleased to announce that in its meeting last 10 October 2017, after due consultation and discernment, the Board of Trustees of Manila Observatory (MO) approved the selection of Dr Gemma Teresa T Narisma as the incoming Executive Director to serve office from 1 January 2018 to 31 December 2020. 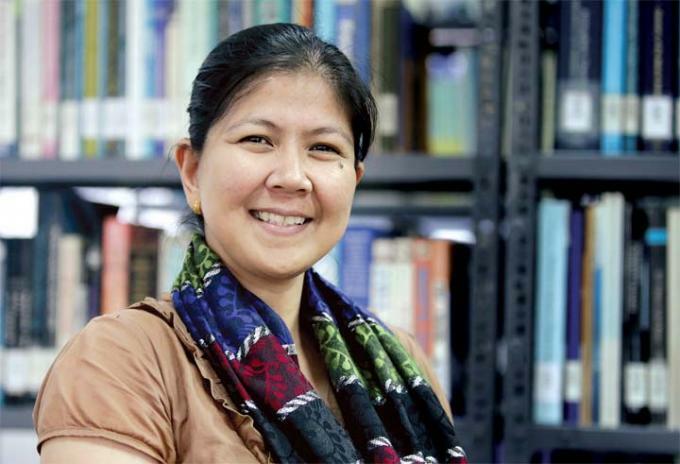 Dr Narisma is currently the Associate Director for Research and the Head of the Regional Climate Systems Program of the Observatory, and Associate Professor at the Physics Department of the Ateneo de Manila University. Dr Narisma earned her BS in Applied Physics and MSc in Environmental Science degrees from the University of the Philippines, Diliman. She received her PhD in Atmospheric Science from the Macquarie University in Sydney, Australia. She later joined the Centre for Sustainability and the Global Environment )SAGE0 at the University of Wisconsin, Madison as Research Associate. For her exemplary contributions to science, she was awarded NAST Outstanding Young Scientist in Atmospheric Science in 2012 and the TOWNS Foundation Ten Outstanding Women in the Nation’s Service in 2013. As a scientist-leader, Dr Narisma is expected to execute the strategic plans of the Observatory and to ensure its maximum impact and sustainability in the next ten years. In full confidence, we can look forward to this scientist servant-leader leading our mission. Let us support her in work and prayer as she fulfils this daunting but surely rewarding mandate. I would also like to take this opportunity to express our collective gratitude to Dr Antonio “Tony” La Viña for the brief but highly transformative year-and-a-half of service as Executive Director. Tony shepherded MO according to its Jesuit roots and mission, managed its future growth through the creation of forthcoming centres and programs, and put in place an effective leadership succession system. We are grateful to him for all these and wish him the best in his future endeavors.